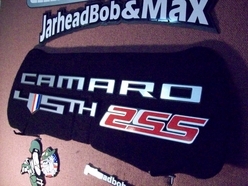 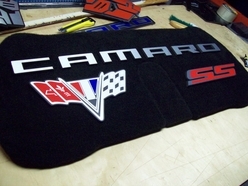 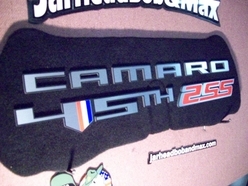 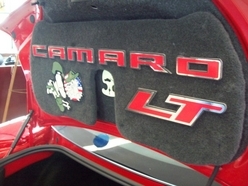 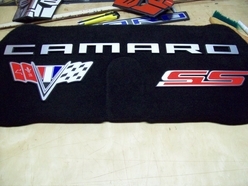 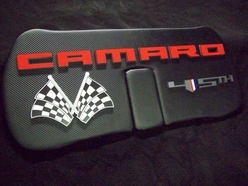 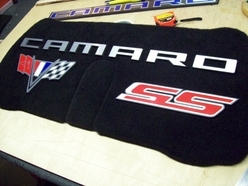 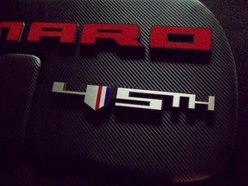 JARHEAD BOB AND MAX CUSTOM CAMARO 5TH & 6TH GEN TRUNK MAT DESIGNS GENERAL MOTOR APPROVED AND LICENSED. 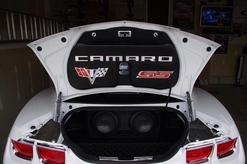 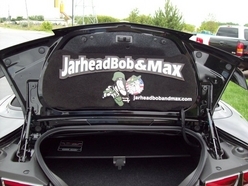 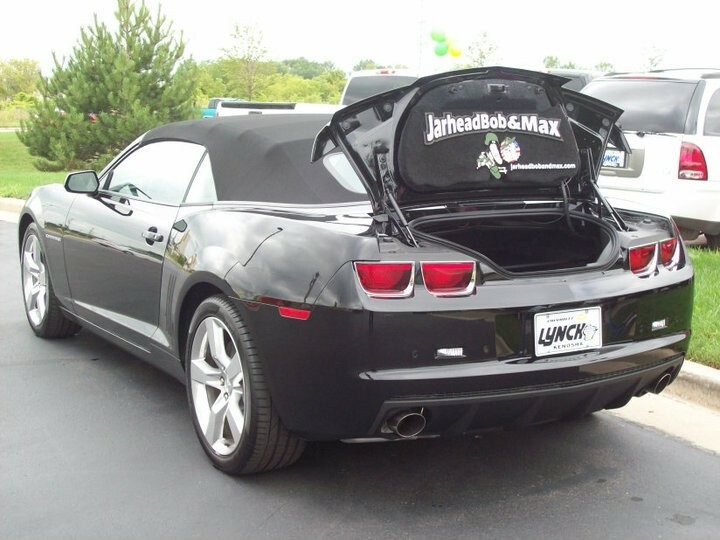 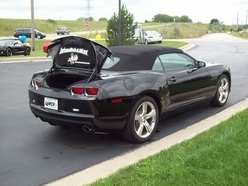 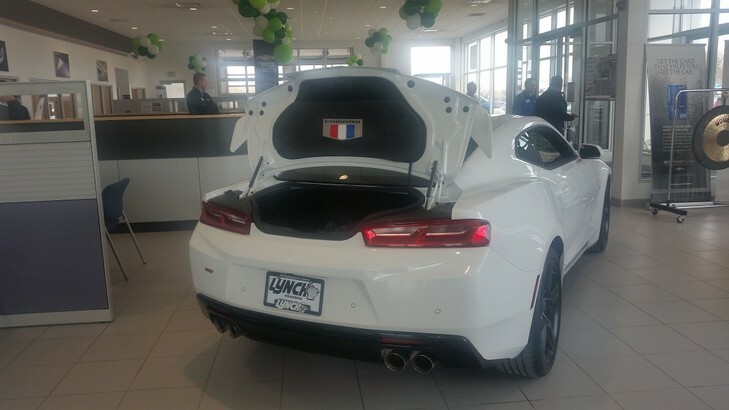 JARHEADBOBANDMAX CUSTOM TRUNK ACCESSORIES / UPPER LID MAT AND LOWER SHOW ENCLOSURES ARE A PERFECT COMPLIMENT TO PERSONALIZE AND GIVE YOUR CAR THE SHOW QUALITY FINISHED LOOK. 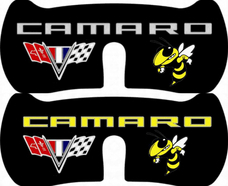 CHOOSE ONE OF OUR DESIGNS AND HAVE IT BUILT YOUR WAY, OR YOU CAN SUBMIT YOUR OWN IDEA'S AND IMAGES FOR A TRUE ONE OFF DESIGN. 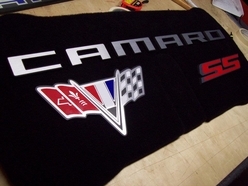 COLOR OF CARPET IN ORDER NOTES. 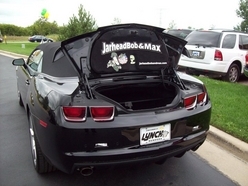 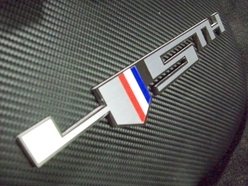 JARHEAD BOB AND MAX REGISTERED DESIGNS / GM LICENSED TRUNK LID MATS ARE PRODUCED HERE IN THE CHICAGO AREA "USA"
JARHEADBOBANDMAX CUSTOM BUILT PANELS ARE MADE TO ORDER AT TIME OF PURCHASE. 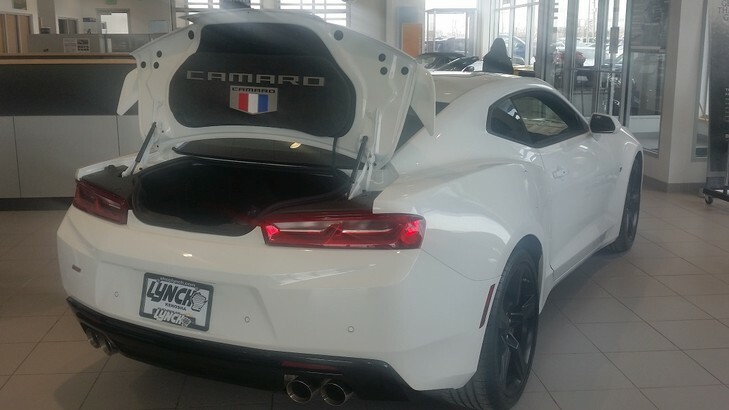 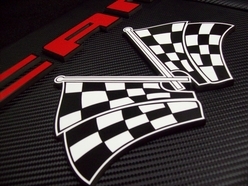 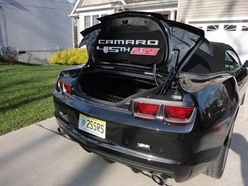 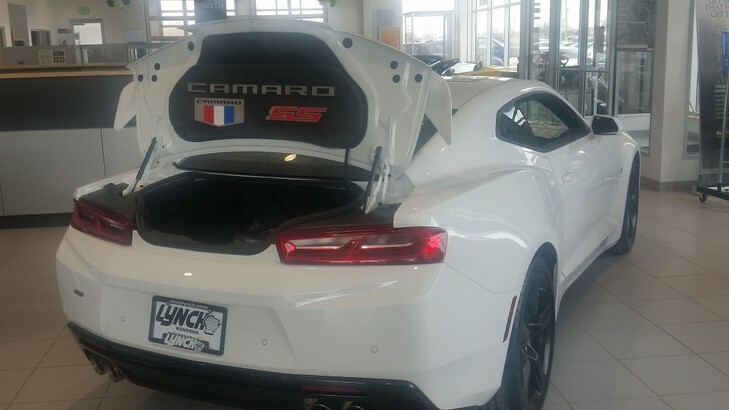 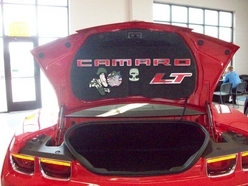 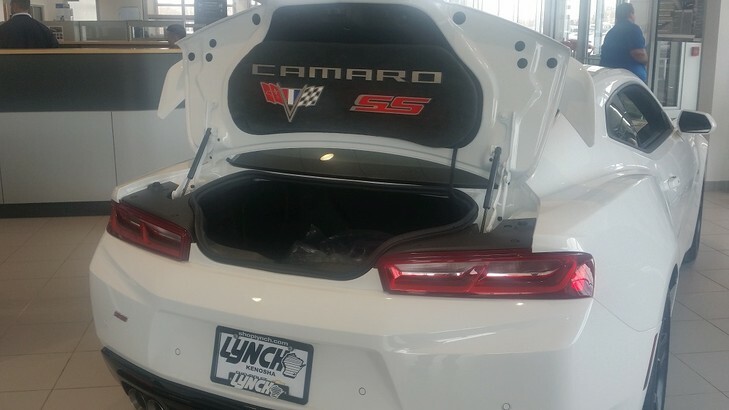 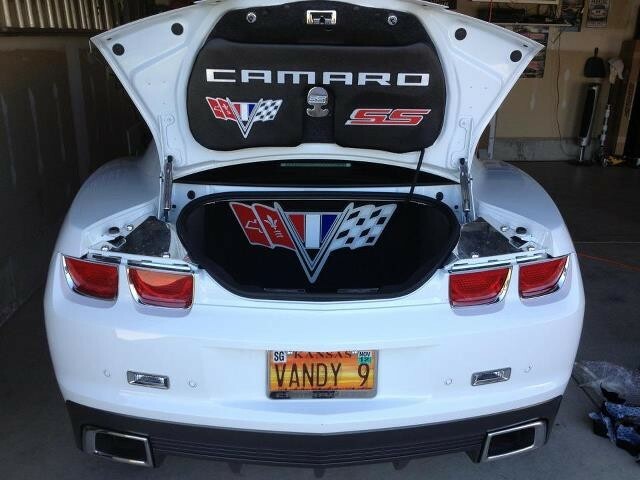 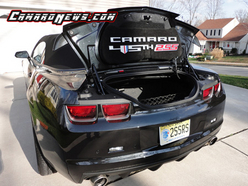 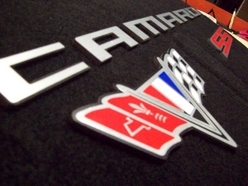 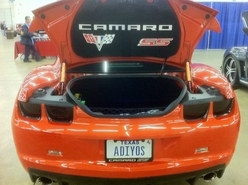 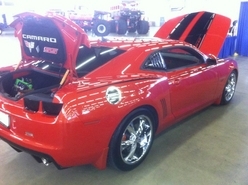 DESIGN YOUR OWN CAMARO CUSTOM TRUNK LID MAT FROM THESE CHOICES. 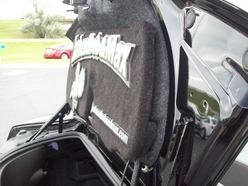 YOU MUST INDICATE YOUR CHOICES IN THE MESSAGE BOX AT PAY PAL CHECK OUT. 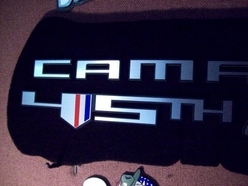 WILL CHANGE COLOR ON REQUEST. 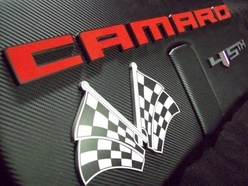 CONTACT US AND WE WILL SEND INVOICE FOR PANEL WITH ADDED LIGHT KIT. 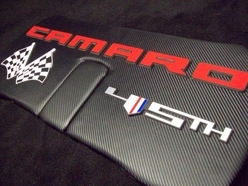 FOR NON LIT PANELS YOU CAN PROCEED AND CLICK THE PAYPAL BUY NOW TAB NEXT TO THE DESIGN AND LEAVE ALL CHOICES IN MEMO BOX...LEAVE EMAIL ADDRESS AND WE WILL VERIFY CHOICES. 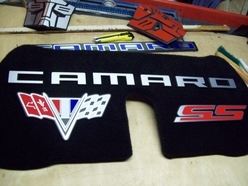 PAY PAL CHECK OUTS BELOW ARE FOR ALL ORDERS IN THE "USA" LOWER 48.